Campsite: stealth camp on military trail. The trail passed through a pretty area for bit until we had to hike a teenie trail. I said teenie because to our left was a river or some kind of overflowing plain and to our right, a barbwire fence. We basically went around a ranch for a few hours. We passed a few orange trees and picked up some. 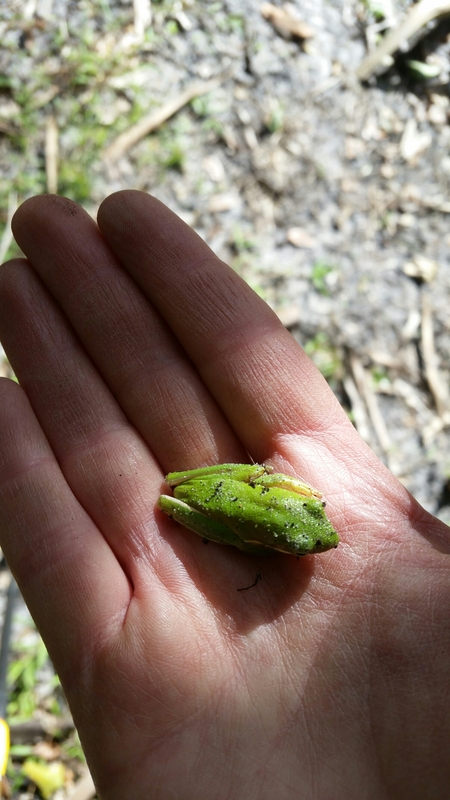 Even grabed a tree frog by accident and squeezed it wondering why the leaf I was holding was rubbery. Ha! We hiked through many knee deep water. At one point, when I was ahead of the boys with knee high water, the ground had a step down. Without knowing, I fell waist deep in the water. We wanded through a few areas like that. Temps today were low 60s I believe and the water was much colder. Our first few miles in the water, my feet were so in shock that I couldn’t feel them for about 2 hours. It made the swamp water feel much better. COULD SWAMP WATER REALLY BE BETTER?! The section was pretty. 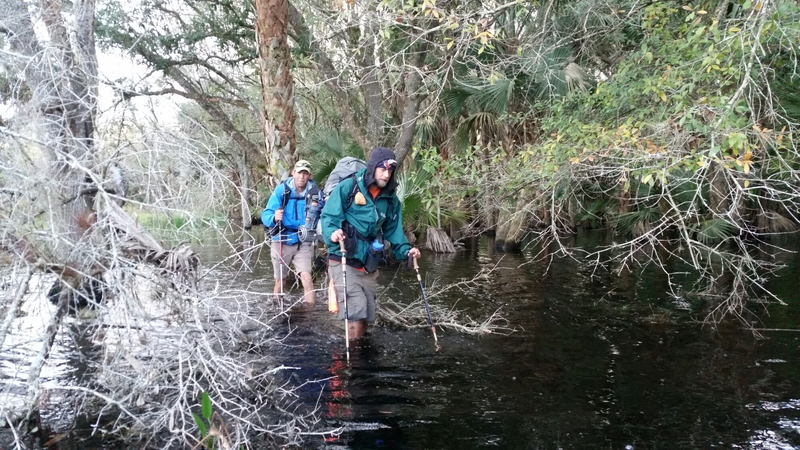 We took the reroutes we could find on the map to walk around chest high water. We were warned on the FT class of 2016 Facebook group that some sections were that emerged. Chest high?! I would of been at my ears. Glad we got around it. In the afternoon, we came to a boardwalk that had us in high water, boardwalk, and water again. The boardwalk seemed kinda silly at this point but made for another pretty sight. I am glad I had the boys suffering with me. All this water hiking is tough mentally. Of course, it is physically but mental is another part of the game. 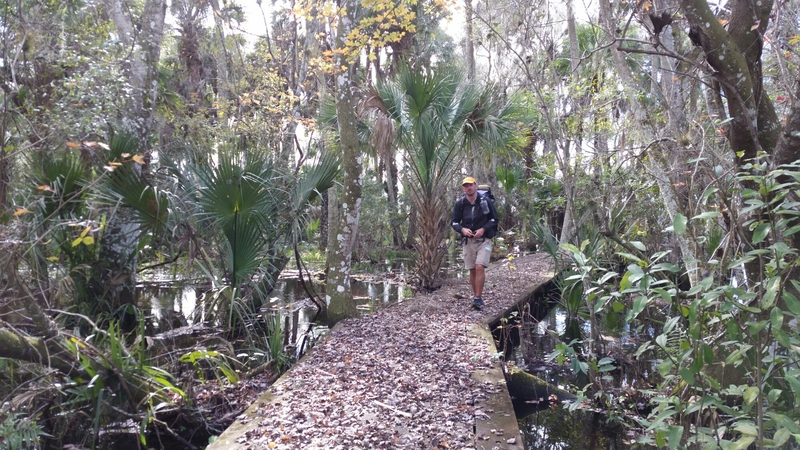 We arrived at our designated campsite but it was surrounded by water and we wanted to get our of this swamp-ish place. Although the campsite itself was dry, all around wasn’t. We decided to continue on. We thought a few more hundreds of feet would be drier, but we were wrong. 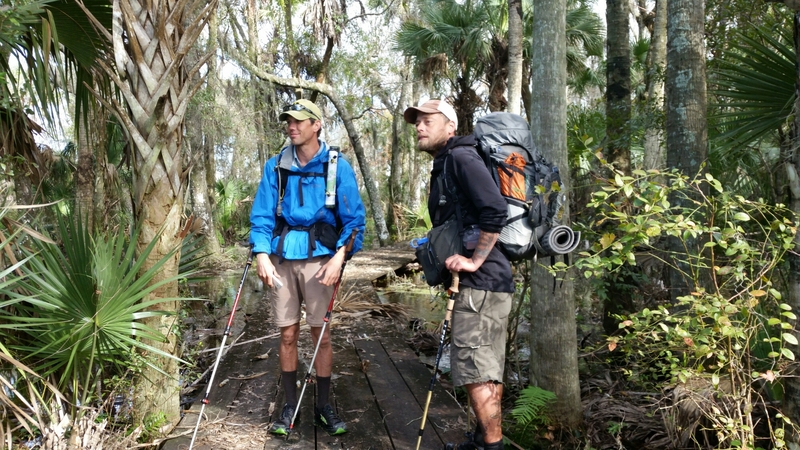 We hiked about another 2.5 miles to where the trail merged with another trail. 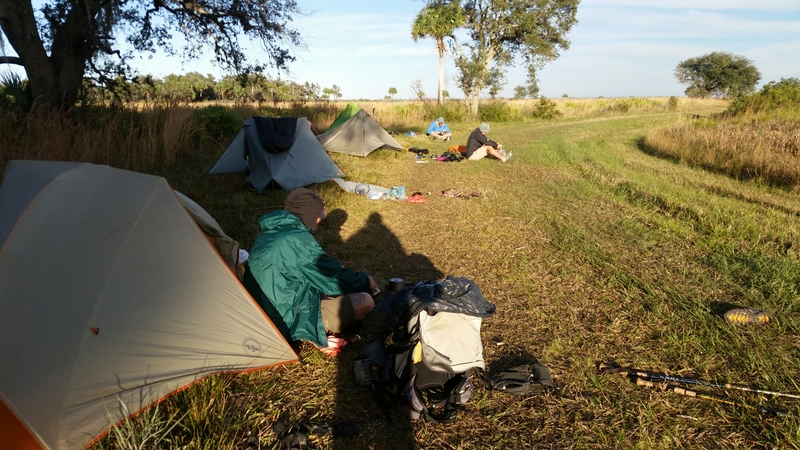 We camped right along the trail as we were tired and wanted to catch some sun rays before sunset to dry out feet off. I am still pretty cold from all that water. I’m currently curled up in my sleeping bag to warm up. Last night was a chilly one, hope it starts warming up a bit. Good thing about colder weather is there is no mosquitos. Let’s hope the trail further up is dry as I would love dry toes for the next 100 miles or so. Happy trails!